I just discovered the Pulp-O-Mizer, an online fake pulp fiction magazine cover generator! 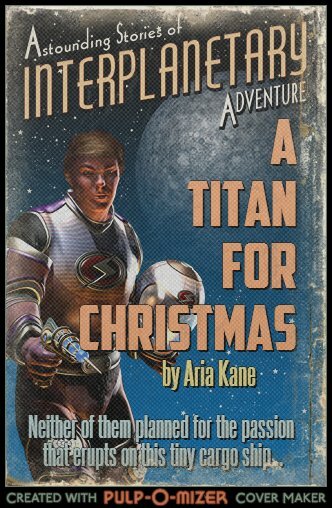 I had a lot of fun playing around with it and came up with a pulp-fiction version of the cover for A Titan for Christmas! Hahaha, isnt' it awesome? Love it! !